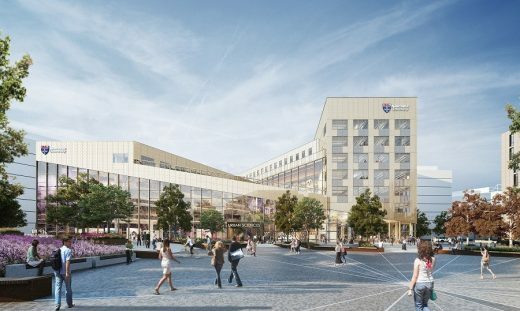 Initial plans for Newcastle University’s £58 million Urban Sciences Building are being unveiled today ahead of a public consultation this evening. Bringing together a range of research disciplines under the banner of digitally-enabled urban sustainability, the aim is to create a ‘living laboratory’ where everything from the infrastructure and environment to even the building itself are used to develop and design sustainable solutions for the future. 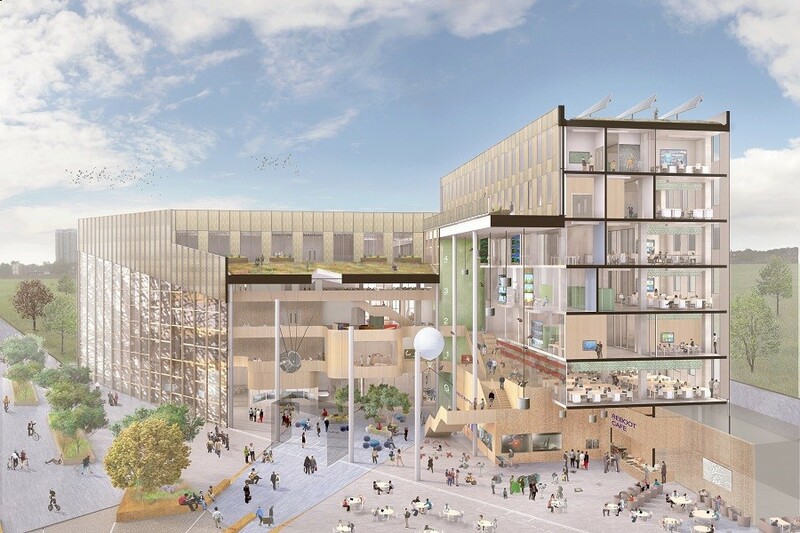 Teaching is also at the heart of the design, and the plans include a state-of-the-art lecture theatre and a flexible learning environment to encourage collaboration and engagement. Developing proposals with Hawkins\Brown, Buro Happold and bd Landscape Architects, Newcastle University will submit a planning application in the next few weeks. Tonight, a public meeting is being held at The Core, the first building to be completed on Science Central, to give local residents the opportunity to see the initial plans. Newcastle University’s Professor John Fitzgerald, a computer scientist and a lead member of the University’s Science Central team, said: “This is a significant step in the design and development of the Urban Sciences Building and gives us an opportunity to make the plans more widely available to staff, students, our key partners in business and industry and the public. Science Central is Newcastle’s £250 million flagship project bringing together academia, the public sector, communities, business and industry to create a global centre for urban innovation in the heart of the city. Originally the Elswick Colliery, then later the production centre for Newcastle Brown Ale, the 24-acre site has been Newcastle’s industrial heart for 200 years. 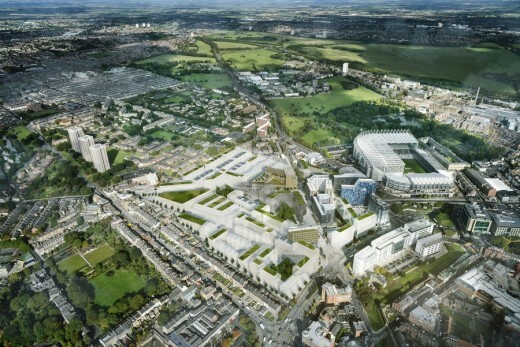 Led by Newcastle University and Newcastle City Council through the Science City partnership, the development will include a low carbon energy centre, a unique £2 million grid connected energy storage test bed and smart grid network that will allow the development of new technologies for maximising efficiency, availability and sustainability of energy across the UK power grid. 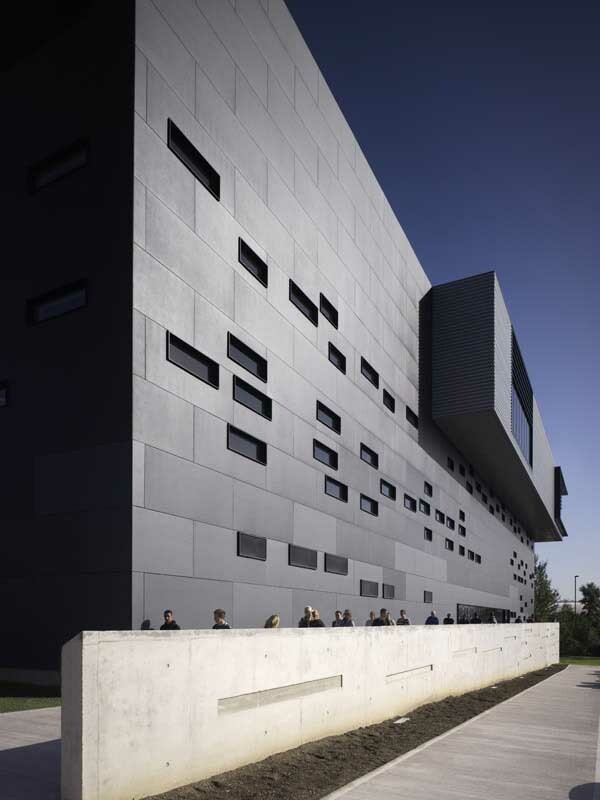 • a unique Cyber-Physical Laboratory, dedicated to understanding the complex interaction between technology and society and reduce our vulnerability to cyber-attack and software failure. • an Urban Observatory and Decision Theatre, allowing real time data from the city to be analysed and explored so we can improve our understanding of the interaction between our city’s energy, water, transport, waste and digital control systems. 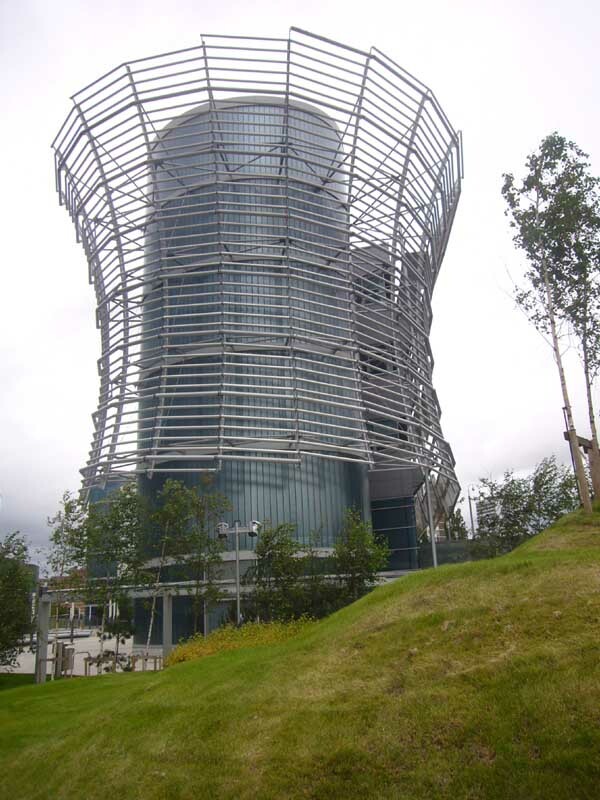 • the EPSRC Centre for Doctoral Training in Cloud Computing for Big Data, training a new generation of experts who will extract useful information from the vast amounts of data now being collected from sensors, people and computer applications. Big data research projects with multi-billion dollar industry partners Red Hat and Microsoft will also be based there, and a Cloud Innovation Centre will enable regional businesses and the public sector to better exploit the opportunities created by cloud computing and big data. 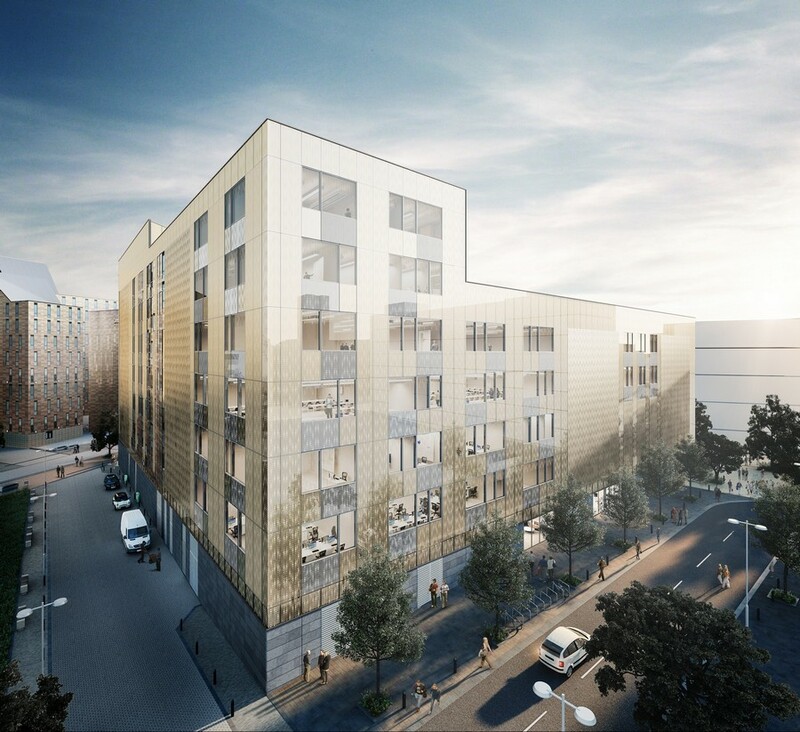 Work is due to begin on the Urban Sciences Building later this year with a planned completion date of September 2017. 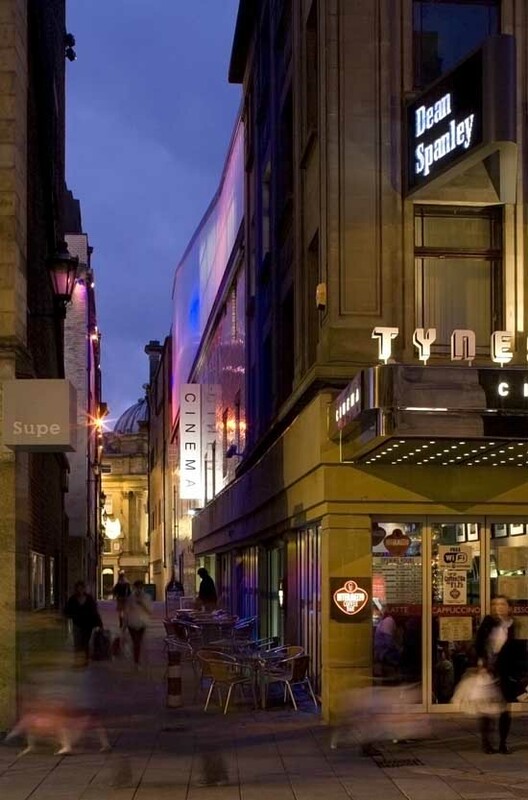 The public event is being held tonight (Wednesday 14th January) from 5 to 7.30pm at The Centre for Professional and Executive Development, The Core, Bath Lane, Science Central, Newcastle upon Tyne, NE4 5TF. Members of the project team will be at the event to discuss the plans and answer any questions. 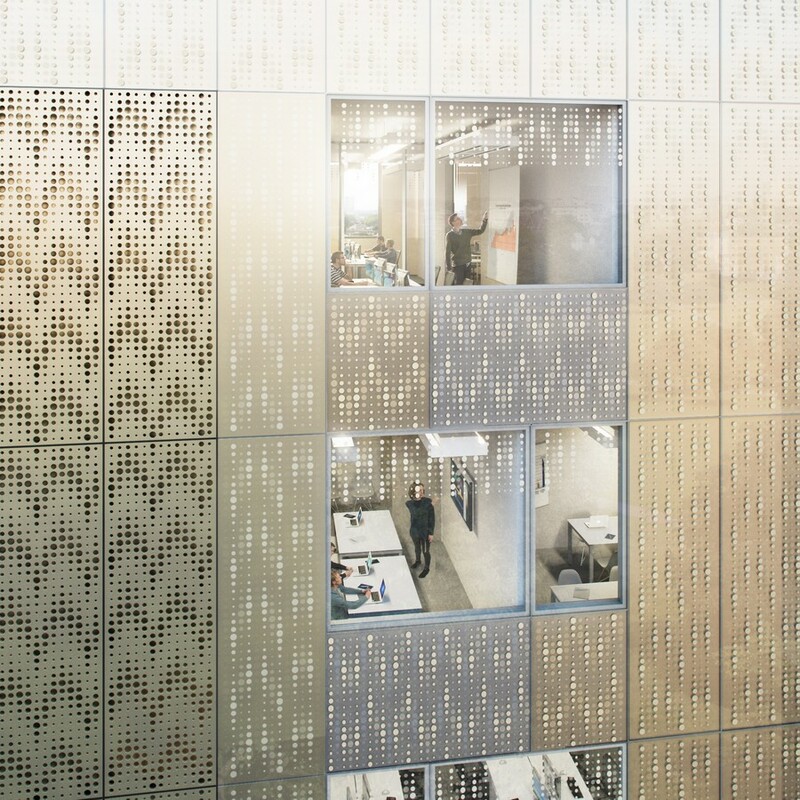 The Urban Sciences Building has been designed to stand as a beacon of technical innovation from its position on the central axis of the new urban quarter. The designs set a benchmark for architectural quality as the masterplan develops, representing the University’s commitment to the city and region alike. A ‘digital nature’ inspired interior embodies the contrast between the highly technical subject matter and diverse building population. 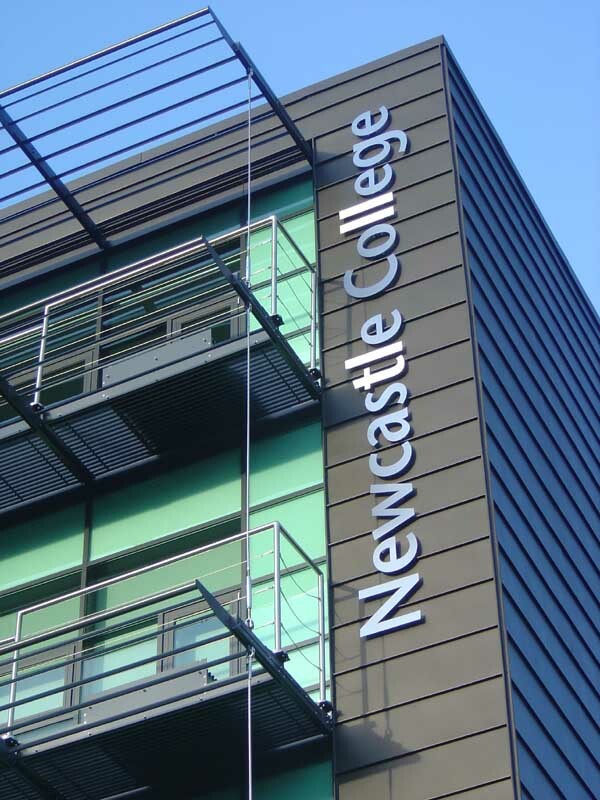 The design organises formal teaching and research space around a central ‘living stair’, with social learning balconies and open workshops to increase collaboration and promote public and academic interest in the cutting edge research and teaching at Newcastle University. On the ground floor ‘showcase laboratories’, digital exhibition and performance spaces accompanying a cutting edge immersive decision theatre. 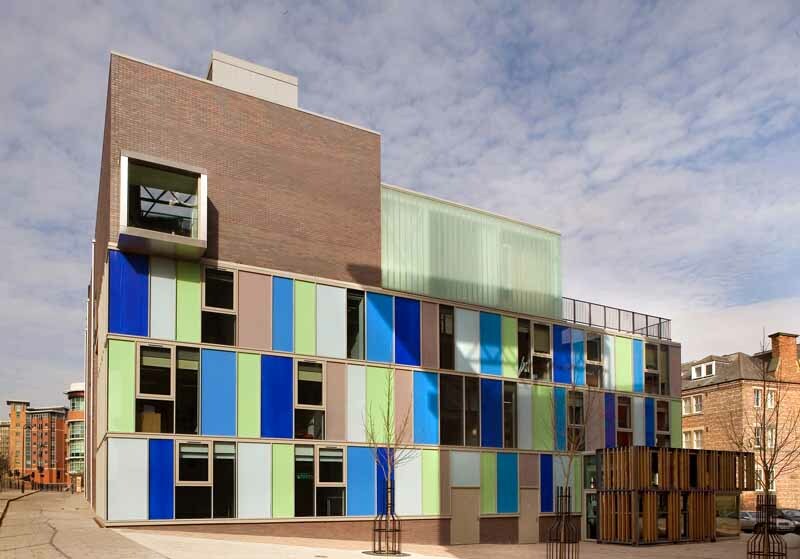 Frameless glazed cladding tightly wraps the building envelope and will feature digital printing and fritted panels to mitigate solar gain, whilst maximising light transfer. Supergraphic artwork will cut across the principal façade to create a unique identity for the building. 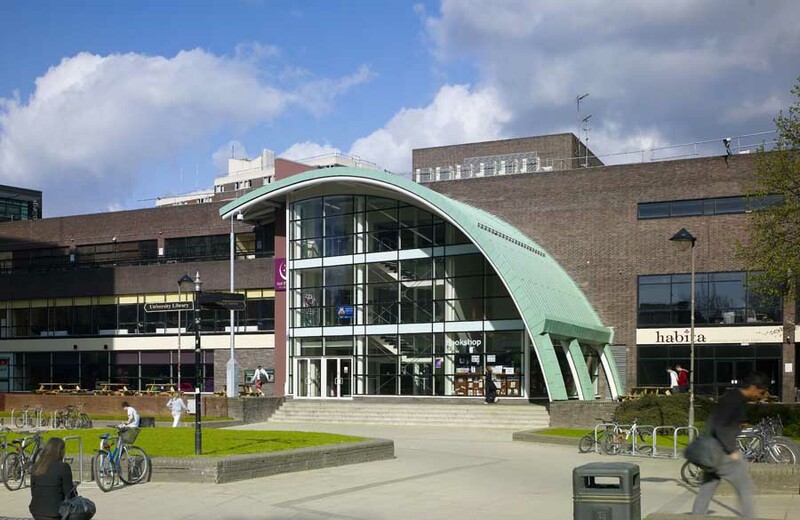 The University has recently launched an ideas competition to develop the building’s public face and areas for interaction.